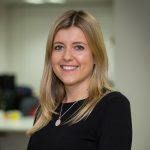 Continuing our series on the consumer purchase journey, today we focus in on Generation Z (aged 16-20) and Millennials (aged 21-34) and the extent to which the youngest generations interact with brands on social. Despite Generation Z spending longer on social media each day than Millennials (nearly 3 hours vs. 2 hours 39 mins), the youngest generation are actually less likely to be interacting with brands during this time. Across all the brand-related actions taking place on social, Gen Z are behind Millennials. 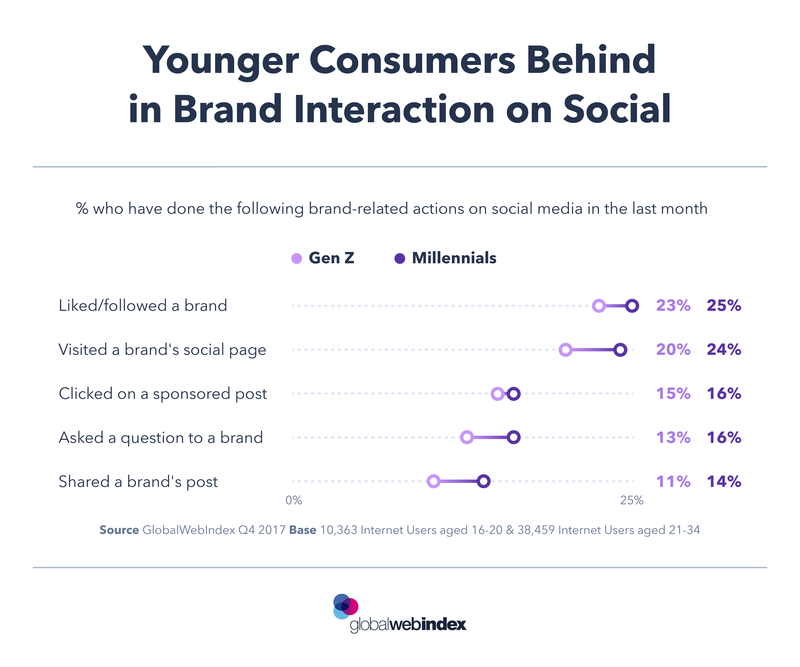 While 1 in 4 Millennials have visited a brand’s social network page in the last month, for example, the figure for Gen Z is just 20%. Beyond people known in real life, Millennials are most likely of all to follow brands they like on social. But for Gen Z, the picture is slightly different and they’d rather follow actors than brands. For this group, social is more likely to be a source of entertainment and a way to keep up with favorite celebrities, than a place for direct brand interaction. A direct brand-to-consumer approach is not likely to be as effective among Gen Z as it is Millennials. For the youngest generation, less invasive approaches may reap greater rewards. Gen Z are defined as internet users aged 16-20; Millennials are defined as internet users aged 21-34.